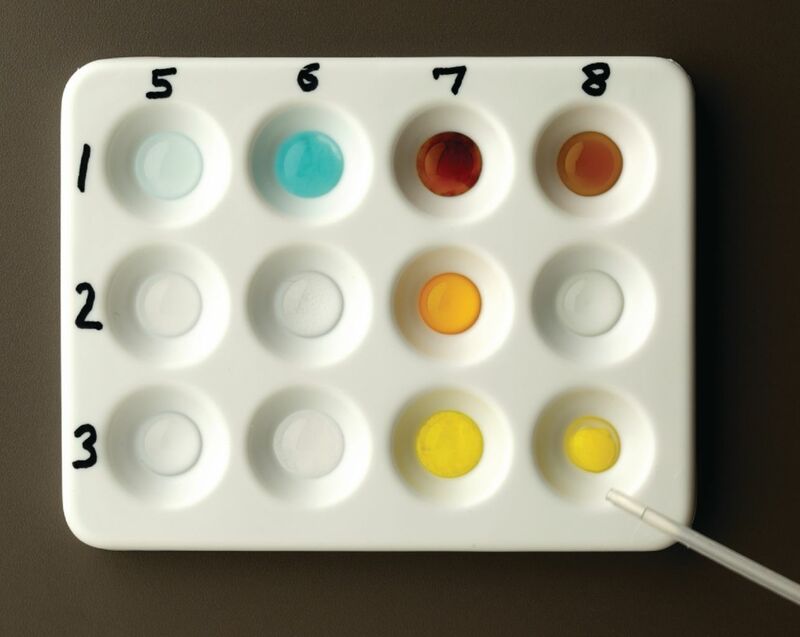 In this engaging experiment kit, developed by high school teacher Alan Hooks, students can observe more than 20 chemical reactions by mixing any two of ten solutions. Students will be very excited to observe the formation of many colorful precipitates, gas bubbles, and solution color changes. After observing these intriguing chemical reactions, students will predict the products, and write the complete balanced chemical equations for the double replacement reactions. Chemical usage is minimized by using spot plates and dropper pipettes. Advanced students can use this experiment kit as an introduction to solubilities, as well as a review of double replacement reactions and predicting products of chemical reactions. 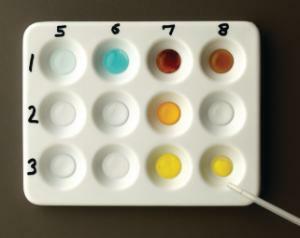 Includes solutions of eight salts and two acids, spot plates, pipettes and instructions. Ordering information: Includes Reaction Plates, Beral Pipettes, Labels, Permanent Markets, Instructions, BaCl2 Solution, CuSO4 Solution, Pb(NO3)2 Solution, KI Solution, AgNO3 Solution, Na2CO3 Solution, and ZnSO4 Solution. Required but not Provided: Erlenmeyer Flasks, Reagent Bottles, Wash Bottles, Waste Containers, and Rinse Water.